Everybody knows that this year admission processing is near at the corner, so most of you have start calculating your point and you want to know the cut off mark of your school. Following the scrapping out of post UTME by the federal government, the Joints Admission and Matriculation board (JAMB) had given a bench mark of 180 and above for candidates applying for Universities, Polytechnics, Colleges of Education. Hitherto, the Federal University of Technology Akure has follow suit in the 180 general cut of mark of JAMB. The Federal University of Technology Akure does not really have a specific cut off mark for courses. However, candidates who have scored a minimum of one 180 in UTME examination is eligible to apply for admission into any of their choice courses. Due to the high number of students wishing to study in the Federal University of Technology Akure , the admission processes is competitive and an admission is given based on JAMB score and O level grades. 1. 200 – Anatomy, Physiology and other courses in the faculty of health and health technology. 2. 190 – Computer Science, Biochemistry, Microbiology, Applied Geology, all engineering courses except Agricultural Engineering. 3. 180 – All other courses. The Federal University of Technology Akure holds her admission screening exercises within a week or couple of weeks and it usually comes in two phases. Students who applied to study in the school are to proceed for the pre-screening exercise when once it is being announced. Documents required for the pre-screening exercise are: SSCE result with new scratch cards and JAMB registration print out only. It is often important that a candidate arrive early and locate his/her screening venue early. Candidates will be screen on the JAMB scores and their SSCE result. Notification of admission status slip. 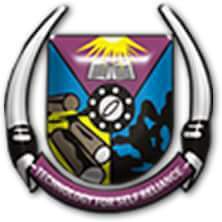 The Federal University of Technology Akure is located in the heart of the town of Akure,Ondo, Nigeria.